Bayesian Statistics is the school of thought that uses all information surrounding the likelihood of an event rather than just that collected experimentally. 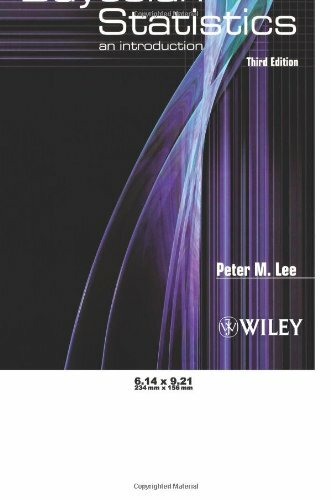 Among statisticians the Bayesian approach continues to gain adherents and this new edition of Peter Lee’s well-established introduction maintains the clarity of exposition and use of examples for which this text is known and praised. In addition, there is extended coverage of the Metropolis-Hastings algorithm as well as an introduction to the use of BUGS (Bayesian Inference Using Gibbs Sampling) as this is now the standard computational tool for such numerical work. Other alterations include new material on generalized linear modelling and Bernardo’s theory of reference points.